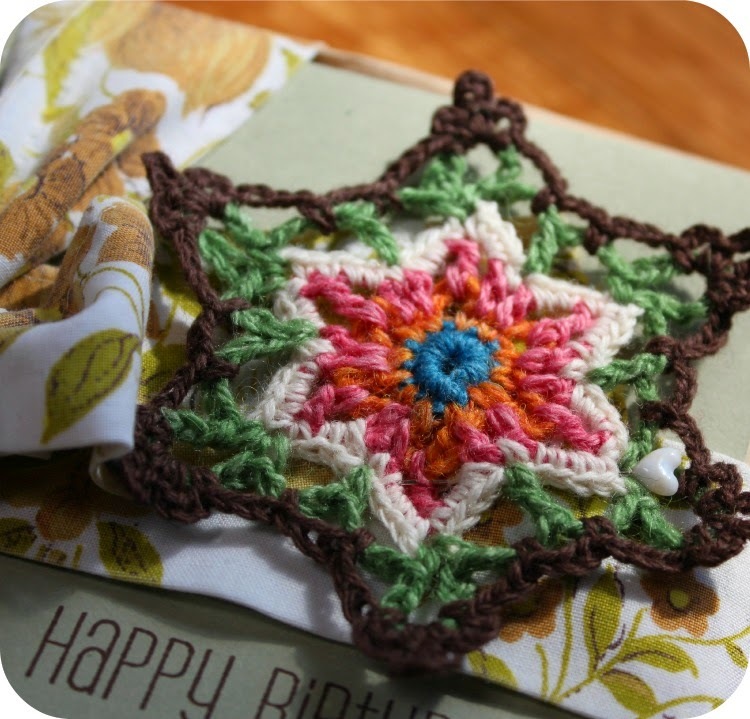 The second person to have a Birthday from our lovely little club was Mel, aka One crafty Mumma. I'm sure quite a few of my Readers would also be reading Mel's blog or following her somewhere on Social media. : ) Mel and I have been Blogging friends for quite a while now and we were lucky enough to meet at a Nuffnang event a few years back. Its always so nice to put a voice to someone you have known online, also to add the elements of animation and gesture to show their personality. 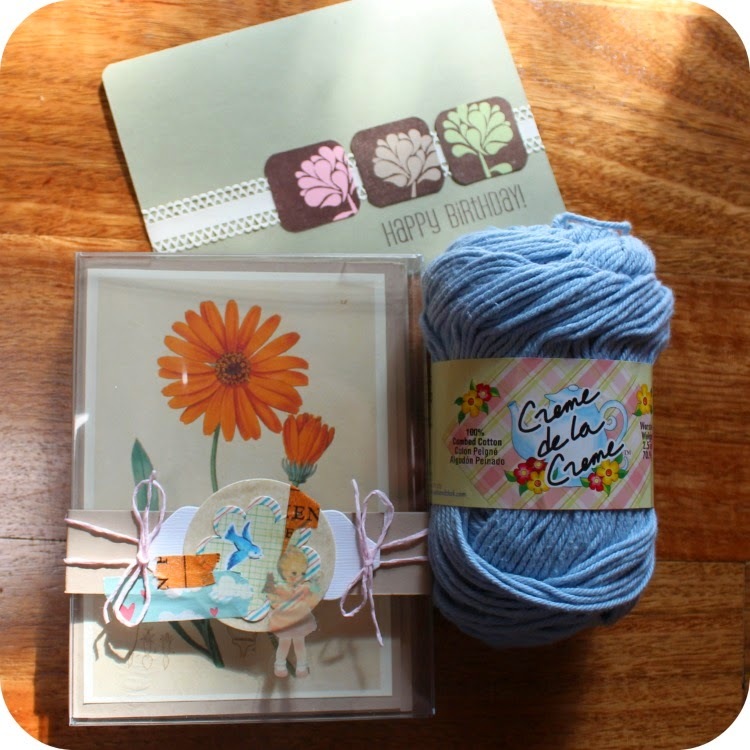 Mel loves working with Natural fibres and is into snail mail, has pen pals and does all types of Crafty things. My interpretation of her gift wishes was that she wanted things that could be used rather than collected. 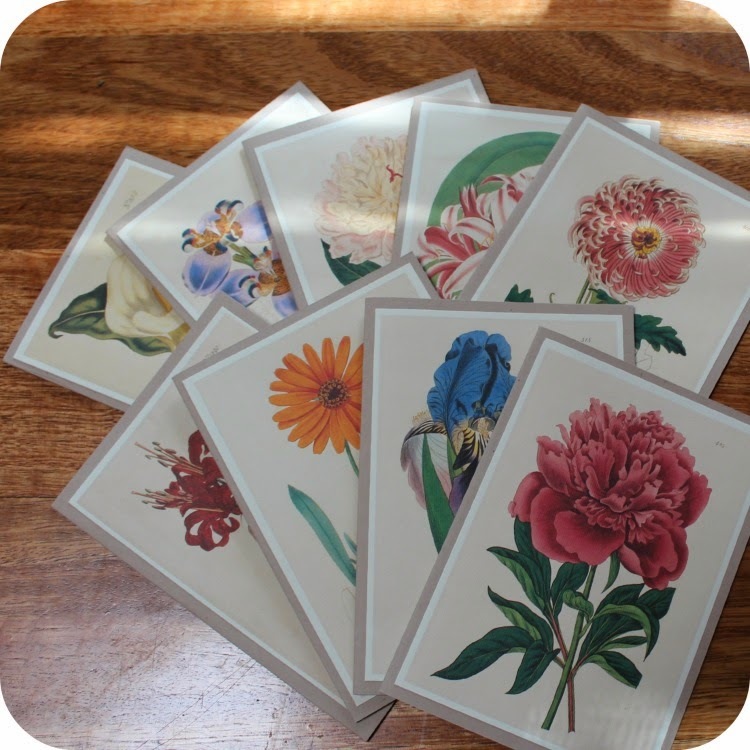 I decided to send her this beautiful set of Botanical note cards. I have held on to these, loving and admiring the pretty images for such a long time, never wanting to actually use them and soil the prettiness of what I created all that time ago. However in my current phase of letting go of some of the 'stuff' in my life, this was a perfect opportunity to let these go to someone sweet who would enjoy using them. I also sent along a ball of Creme de la creme cotton which is one I had not heard Mel talk about using and I thought she might like to try it out. Wrapped it all up, tied it with some recycled vintage fabric and pinned a multi coloured crochet snowflake to it for a bright little finishing touch. Mels working up something with that Cotton now and thinks its lovely! Thanks for stopping by Sweet readers.